One of the fastest growing outdoor sports and methods of adventure travel is bikepacking. As with backpacking, this activity involves carrying all of your equipment and supplies with you as you travel, remaining completely self-sufficient throughout your journey. The main difference of course is that instead of hauling all of your gear in a backpack and traveling on foot, bikepackers carry their equipment on their bikes instead. This gives them the ability to continue to travel independently while potentially covering longer distances in a single day. As with backpacking, there are a number of classic bikepacking routes that can be found all over the world. 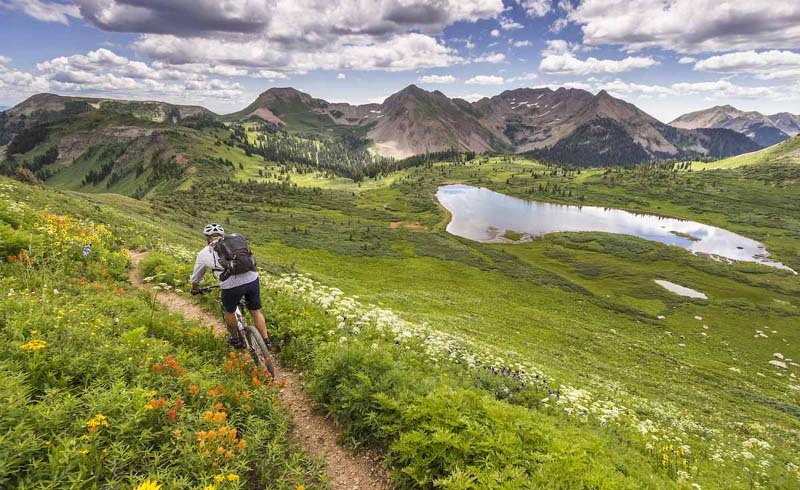 Consisting of everything from single track mountain biking trails to smooth, modern highways, these routes are known for being incredibly beautiful, fun to explore, and particularly bike-friendly. This makes them a favorite amongst veteran bikepackers and beginners alike. If you're interested in learning more about bikepacking and how to get started in the sport, be sure to checkout bikepacking.com for all kinds of useful information on gear, route planning, training, and more. Alternatively, you can also attend the annual Bikepacking Summit held in Gunnison, Colorado, where you'll not only get the chance to pick up valuable skills and information, but also meet some of the most experienced bikepackers in the world. The three-day event is invaluable to experienced riders and newcomers alike and is definitely worth attending if you would like to give this new form of adventure travel a try. Whether you're new to the sport or looking to take your adventure travel resume to the next level, these are our picks for the 10 best bickpacking routes in the entire world. Arguably the greatest bikepacking trail on the planet, the Great Divide Mountain Biking Route covers more than 2,100 miles stretching from Banff National Park in Canada to Antelope Wells, NM along the U.S.-Mexican border. This gives it the distinction of being the longest off-pavement route anywhere in the world, which in turn makes it a major draw for bikepackers across the globe. Riding the entire trail is no small accomplishment, as it features more than 200,000 feet of vertical gain along its length, with some of the more remote sections wandering far from any cities or towns. Riders will also discover a seemingly never-ending supply of beautiful scenery as they roll across Montana, Wyoming, and Colorado en route to New Mexico. 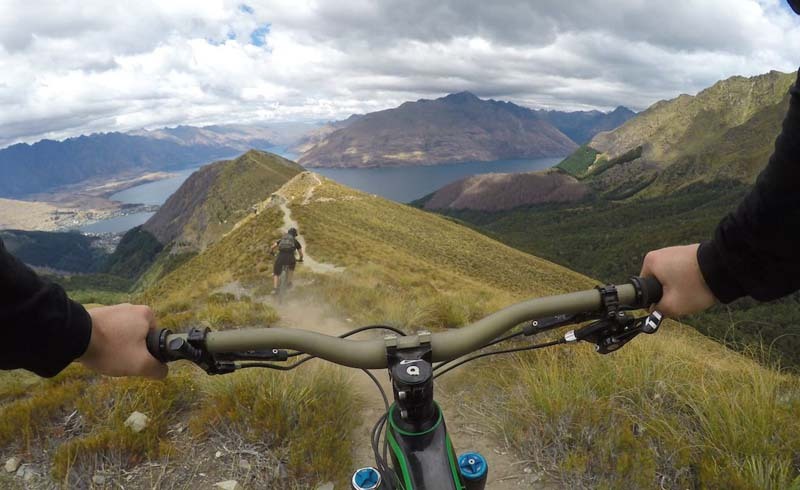 If you're looking to truly get away from it all, and take on an epic challenge, this is definitely the route for you. At 800 miles in length, the Arizona National Scenic Trail gives bikepackers an opportunity to ride across the entire state of Arizona north to south. The route actually passes through a brief section of the Grand Canyon – where riders must push their bikes for a short time – and offers access to the beautiful Huachuca Mountains not far from the Mexican border. 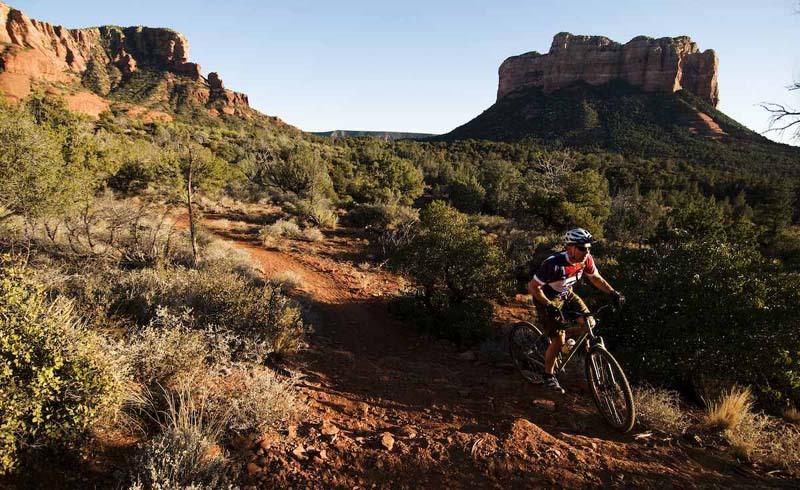 One of the most popular sections of the trail is a 50-mile stretch that runs from Sedona to Flagstaff, providing spectacular scenery while en route. That section of the trail is also perfect for first-time or beginner backpackers looking to stretch their legs and test their gear. Crossing through nine countries (Scotland, Britain, France, Belgium, the Netherlands, Germany, Denmark, Sweden, and Norway) and covering more than 3,728 miles, the North Sea Cycle Route (a.k.a Euro Velo Route 12) is a favorite amongst long-distance bikepackers. This route stays mainly on paved trails throughout its length, which can take weeks to complete. Most cyclists break the ride up into smaller segments, though on occasion, an intrepid rider will embark on an end-to-end epic journey that provides quite the tour of the countries that border the trail's namesake body of water. With a trail this long, there are plenty of highlights to be found, but riding through Scotland's Shetland Islands and along the Norwegian Coast truly stand out. Both offer amazing views and the chance to commune with nature. Just be sure to bring plenty of warm layers and high-quality rain gear however, as the weather can be fickle at just about any time of the year. Another epic bikepacking trip located in the American west, The Colorado Trail is 500 miles of pure bliss for those looking to ride it end-to-end. Running from Denver to Durango, the route takes riders through the heart of the Rocky Mountains, providing plenty of breathtaking scenery along the way. This challenging trail mostly consists of single track and features about 70,000 feet of elevation gain along its length. 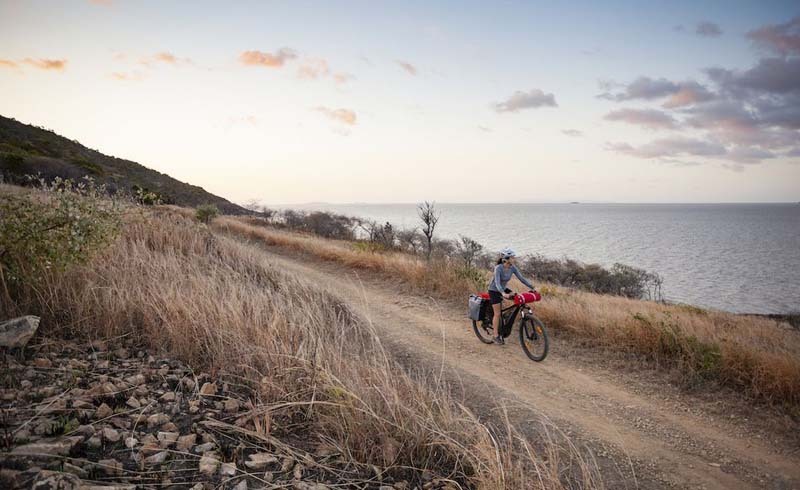 Requiring about 10-15 days to complete, the route rewards bikepackers with plenty of solitude and seclusion while rolling through a wonderful wilderness area on the back of their bikes. The Dolomite Mountains of northern Italy have been drawing hikers and climbers for decades, but the region also happens to be home to a spectacular bikepacking route too. The Dolomiti Trail stretches for roughly 160 miles and features over 31,000 feet of climbing, requiring most riders roughly five to six days to complete. The route is a mix of both paved and unpaved roads, with a bit of single track mixed in for good measure. 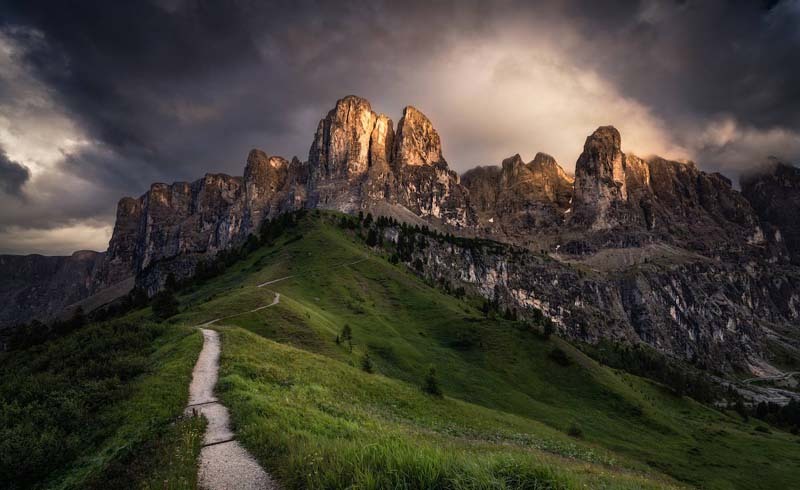 Adventurous cyclists who embark on this journey are rewarded with some of the most dramatic scenery in all of Europe, with the iconic jagged peaks of the Dolomites serving as a breathtaking backdrop for the entire ride. 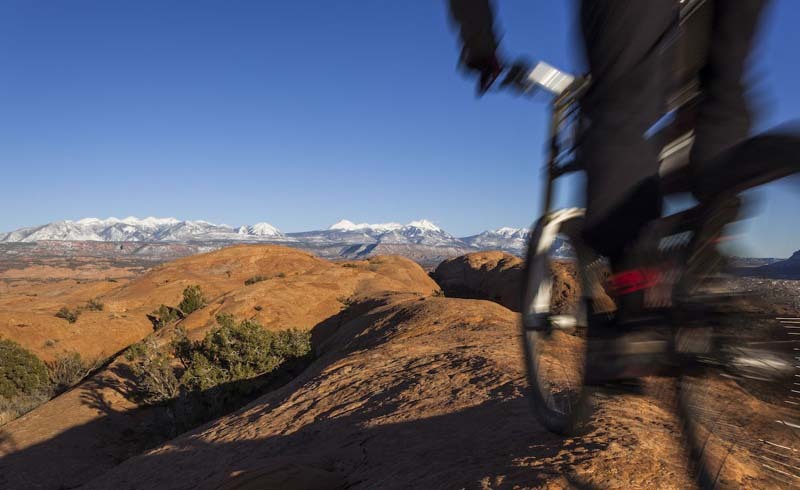 Bikepackers looking to explore two of the most iconic mountain biking destinations in the world –– Fruita, Colorado and Moab, Utah –– will definitely enjoy a ride along the Kokopelli Trail. The 138-mile route actually begins in Lorma, CO and runs all the way to Moab, passing through Fruita while en route. While not especially long compared to some of the other trails on this list, the Kokopelli still provides plenty of challenge. Finding water along the dry and dusty trail can be difficult at times, although eight individual campsites spaced out along its length can help alleviate that problem. Classic southwestern scenery abounds throughout the journey, with red sandstone walls and towering rock towers visible throughout, making the three- to five-day ride a favorite amongst bikepackers for sure. Croatia's Adriatic Crest Trail provides everything a bikepacker could ask for in an adventurous route, and a whole lot more. The trail remains largely free from crowds, offers stunning scenery, and provides a great challenge without completely crushing a rider's legs and spirit. Stretching for 380 miles along the rugged, rocky Croatian coast, the ACT doesn't fail to deliver on its promise of breathtaking views. 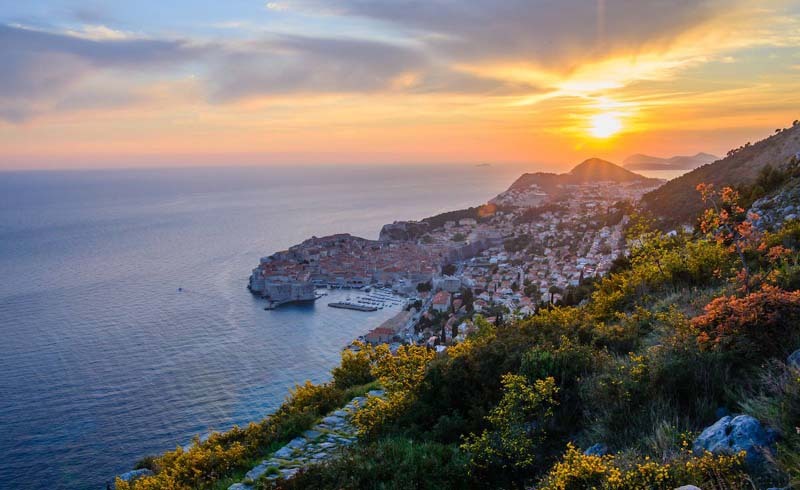 Made up of mostly unpaved single and double-track trails, the path wanders in and out of dense forests, along steep ridges, and over rolling hills, with the Adriatic Sea almost always in sight. If you plan to ride this trail, budget about eight days to do it right. While altitude is rarely an issue, the 35,000+ feet of climbing will certainly keep you busy. Bikepackers living in the eastern U.S. aren't completely shut out of the fun. There are some excellent trails to be had in that part of the country too, including the spectacular Virginia Mountain Bike Trail. 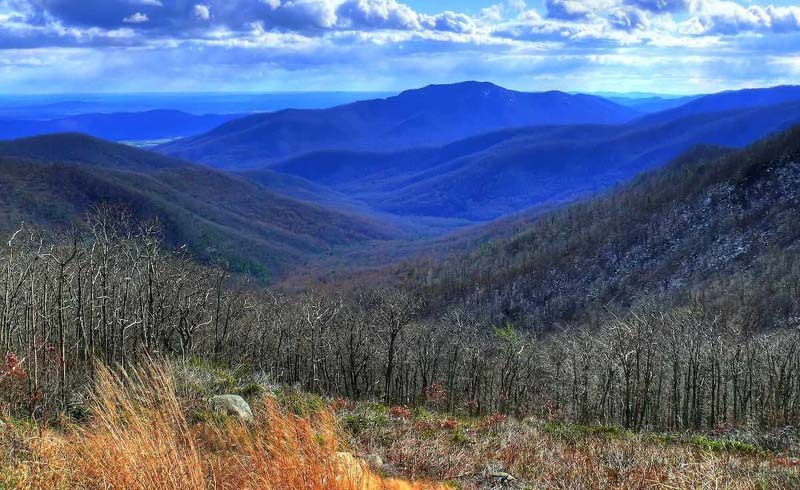 Running from the Allegheny to the Blue Ridge Mountains, the VMBT covers more than 480 miles of stunning backcountry. The route is especially beautiful in the fall, when the cooler weather and changing colors of the leaves make for a wonderful riding experience. One of the best aspects of this trail is that bikepackers don't necessarily have to carry their own tents with them as they go. That's because the VMBT features a hut system along its entire length, which makes it is possible for riders to book nightly stays within these cozy cabins rather than set up shelters at a campsite. This helps to reduce the amount of weight that a rider carries too, making the ride even more enjoyable. New Zealand's Old Ghost Road is the longest single track route in the entire country, stretching for 52 miles across a remote section of the South Island. 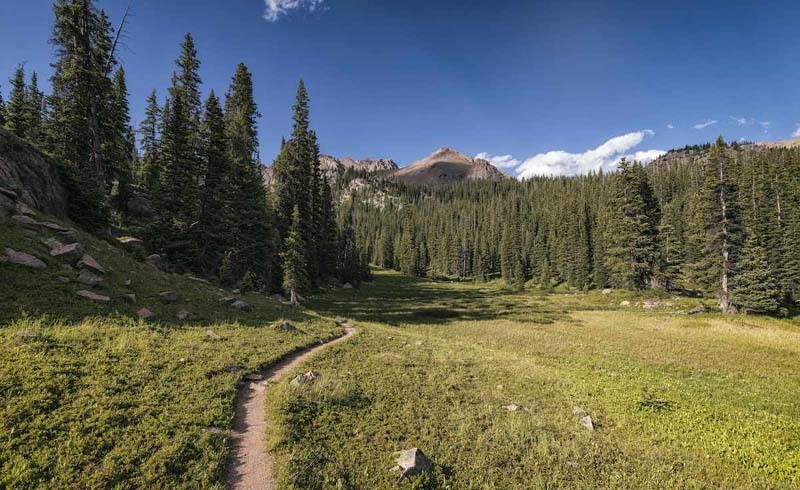 The trail was originally used by gold miners back in the 1800s but has received a modern overhaul to make it a top mountain biking and hiking route instead. While not particularly technical in nature, the twisty single track does require riders to be attentive and on point at all times. That said, the road offers three days of utterly spectacular riding with fantastic views around every bend. Perhaps the best part of the ride however is passing through four individual ghost towns that fall along the route, making this a ride that truly takes you back in time. 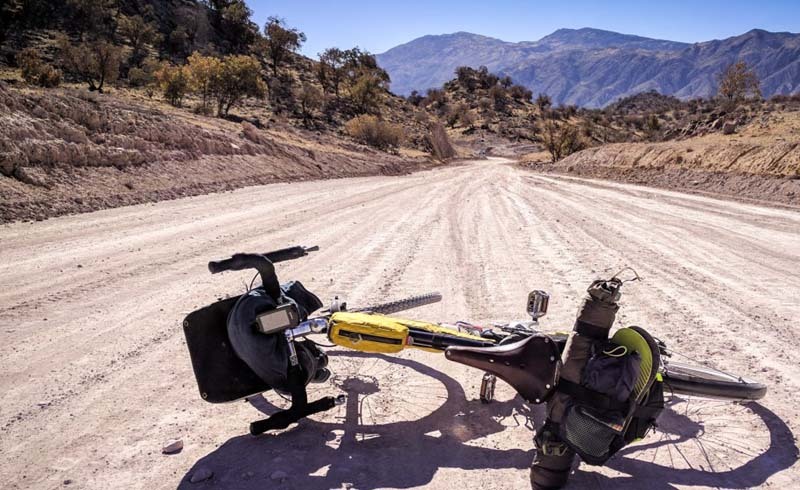 Riders looking for the ultimate bikepacking challenge may want to consider riding the Pan American Highway, but if they do, they better have plenty of time to spare. This epic route runs from Prudhoe Bay in northern Alaska to the southernmost tip of South America in Ushuaia, Argentina. Riding the road end-to-end requires traveling more than 19,000 miles and passing through 14 different countries along the way. The route wanders into deserts, forest, mountains, jungles, and a variety of other landscapes as well, making it the ultimate test of stamina and dedication. 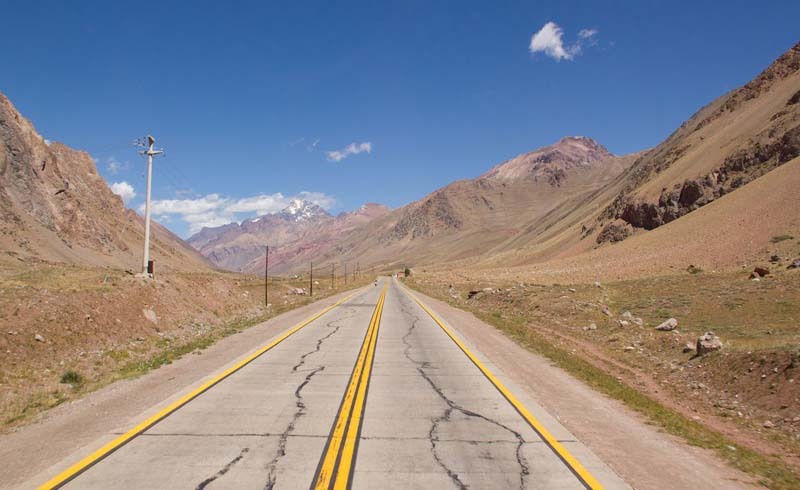 Cycling the Pan American Highway can take months to complete, which is why many bikepackers break it down into smaller, more approachable segments that can be done a little bit at a time. The road features motor traffic throughout its length, with some areas involving a lot more traffic than others. Still, there are few bikepacking routes that provide almost-uninterrupted travel over such a vast difference, offering a look at more than a dozen countries along the way.